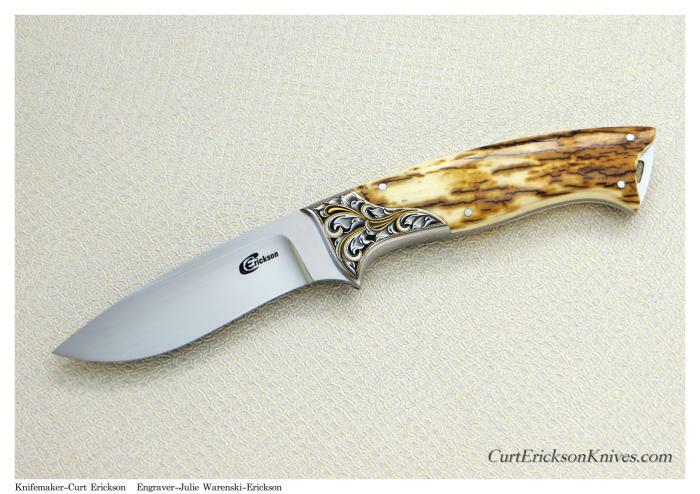 Fancy Classic Hunter- Handle is premium Bark fossil mammoth Ivory with outstanding color. Features S-curved 416 bolsters with cut out back thong hole. CPM154 blade steel that is highly mirror polished with hand rubbed satin flat. Raised 24kt gold inlay and engraving by Master Julie Warenski-Erickson.